The Polish company Atlantic sp. z o.o. applied for the word-figurative trade mark ATL ATLANTIC Z-313731 in classes 03, 18 and 25. The Polish Patent Office refused to grant the right of protection in part of the goods covering deodorants for personal use, soaps, perfumery, cosmetics, cosmetic kits, portable suitcases for cosmetics, travel bags for clothing, shopping bags, beach bags, handbags and women handbags. 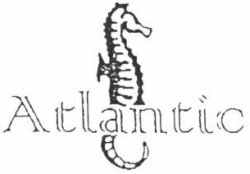 The PPO held that there are similar and conflicting trade marks such as Atlantic R-141375 for goods in class 18, Atlantic IR-631190 and ATLANTIC IR-787876 for goods in class 03. The Voivodeship Administrative Court in Warsaw in its judgment of 7 April 2010 case file VI SA/Wa 21/10 dissmissed Atlantic’s complaint and upheld the contested decision. The Court ruled that in all cases where the problem of the similarity of the opposed trade marks arises, it is the result of two closely related issues, i.e. the similarity of signs and the similarity (homogeneity) of goods/services for which the signs are applied for, registered or used. Both these factors determine the scope of trademark protection (citing M. Kępiński [in:] Niebezpieczeństwo wprowadzania w błąd odbiorców co do źródła pochodzenia towarów w prawie znaków towarowych, ZNUJ PWOWI zeszyt no 28 of 1982, p. 10). The VAC held that the convergent elements of disputed signs have crucial meaning for the buyers and such conclusion is justified from a psychological point of view, since the purchaser keeps in mind only a general representation of the sign for which is he or she looking for. Therefore the buyer chooses a sign based only on dominant elements while ignoring differences. Categories: Art. 132(2)(ii) IPL | Art. 151 PBAC | Art. 7 APC | Art. 77 APC | distinctive character | homogenity of goods | likelihood of confusion | similarity of signs | trade mark refusal | Voivodeship Administrative Court.